How can we help children to become independent learners? The third edition of this invaluable companion for Early Years practitioners provides a broad-ranging and up-to-date review of current thinking and best practice within Foundation Stage and Key Stage 1 education. Based on the basic truth that an effective Early Years curriculum must start with the children, this book focuses on their needs and their potential. The best teaching must have a strong element of fun, wonder and excitement: David Whitebread and Penny Coltman show how play is a crucial part of this. Each chapter combines a review of important principles with practical and inspiring classroom examples. 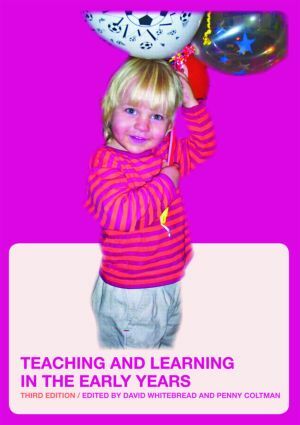 This third edition has been fully revised and updated in light of the introduction of the Early Years Foundation Stage, and includes completely new chapters concerned with classroom organisation to support independent learning, outdoor learning, speaking and listening and mathematics in the early years. The book is essential reading for all Foundation Stage and Key Stage 1 trainee teachers, their tutors and mentors, and serving teachers working with children in the three to seven age range wishing to reflect upon and develop their practice.